Beijing’s ever-expanding subway system has welcomed three more lines on the city’s west side. 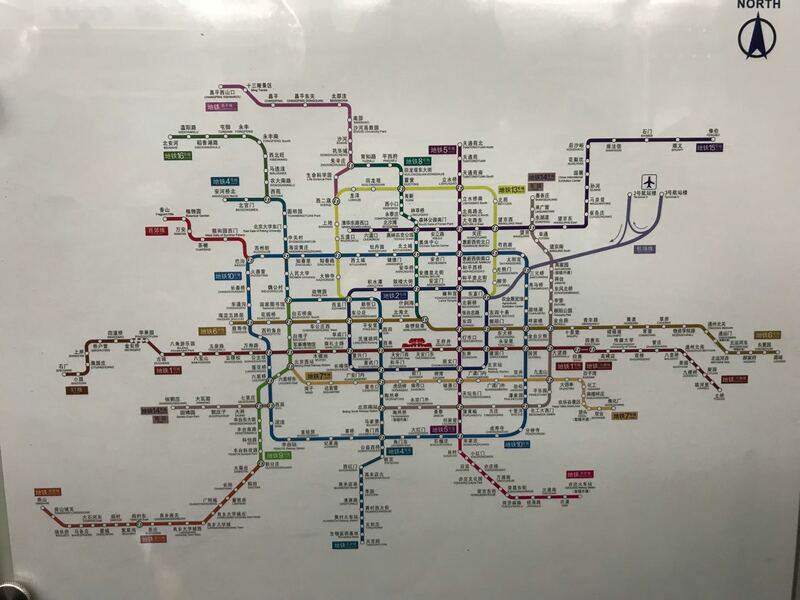 Line S1, the Yanfang Line (燕房线), and the Xijiao Line (西郊线) started operation last December 30, bringing the number of Beijing Subway lines to 22, with a total line length of 608 kilometers. The 10.2-km Line S1, which originates from the western end of Line 1’s Pingguoyuan station, is the city’s first Maglev line that has a top speed reaching to 100kph. That means whole eight-stop journey only takes less than 20 minutes. The line runs through Shijingshan and Mentougou, two districts in western Beijing with a rich history and abundant tourist destinations including the temples of Lingguang and Fahai, as well as the ancient villages of Jieshi and Housangyu. The 16.6-km Yanfang Line bounds for Yanshan, farther in Beijing’s Fangshan district. The line connects western Yanshan to Yancun East, a transfer station at Fangshan Line. The Yanfang Line the mainland’s first driverless subway with a top speed of 80kph, bringing down the commuting time to less than an hour to downtown for those living in the Yanshan area. Xijiao Line is the city’s first modern tram that operates in the western Haidian District. Its eastern end stops at Bagou, which transfers to Line 10. This line is ideal for sightseeing as it passes several scenic attractions including the Summer Palace, the Beijing Botanical Garden, and the Fragrant Hills Park. The three new lines are on the western side of Beijing. Xijiao Line is the short red line from Bagou (on Line 10’s northwest), while Line S1 is directly on the west end of Line 1. The Yanfang Line is the orange extension in the lower left of the photo.